The first time I ever ate an empanada was when I was dating my husband in the 1980’s. My mother-in-law is from Chile and empanadas are a staple there. In Chile, empanada stands are on every corner. They bake, fry, fill and serve them everywhere you turn. Soon after I tasted an empanada, I began making them for my family and friends, experimenting with dough and fillings. We started making empanadas at Baked by Susan about four years ago and the response has been so amazing that we basically dedicated an entire case just for empanadas. When we bring empanadas for an outside market or event, they always sell out. 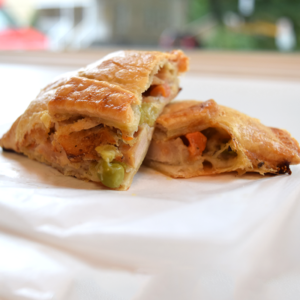 Simply put, an empanada is a pastry pocket that can be filled with meat, cheese, vegetables or even fruit! Here at Baked by Susan, we make our empanadas from scratch, every single day. Our dough is an all-butter crust made with King Arthur unbleached flour and the fillings are all made from fresh ingredients. 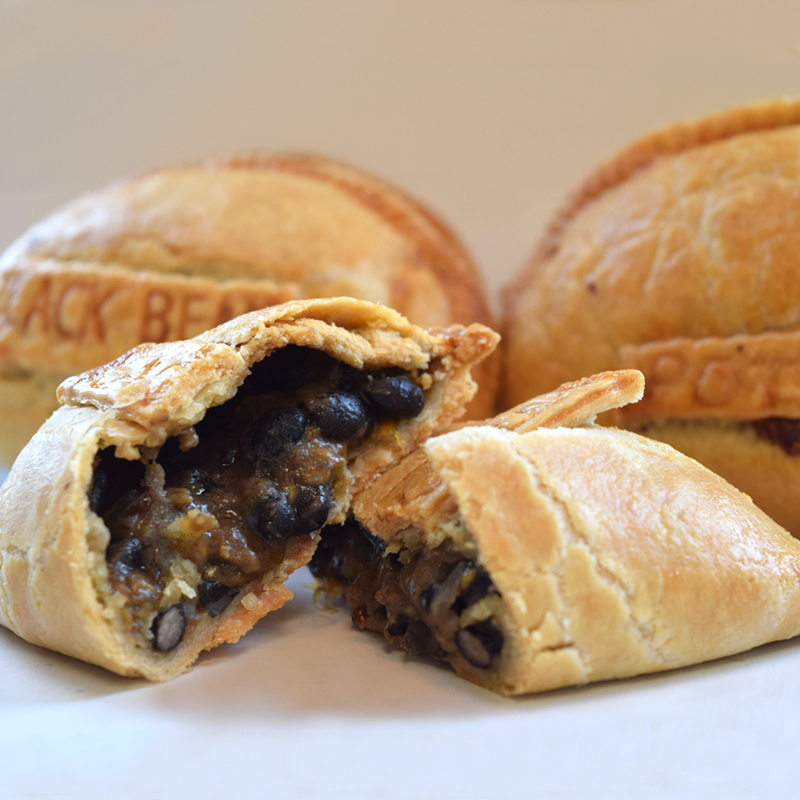 Some of the flavors we make are: traditional beef, chicken pot pie, zucchini and three cheese, caramelized onion with oven-roasted potato , and black bean and cheddar. Our Potatoes and onions are oven roasted, the chicken is spiced just right and cooked to perfection, ground beef simmers on the stove with onions and spices, all seasoned to perfection. 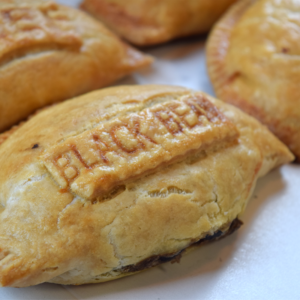 We label our empanadas with a perfect pie dough imprint so you know what flavor is inside before you bite into it. 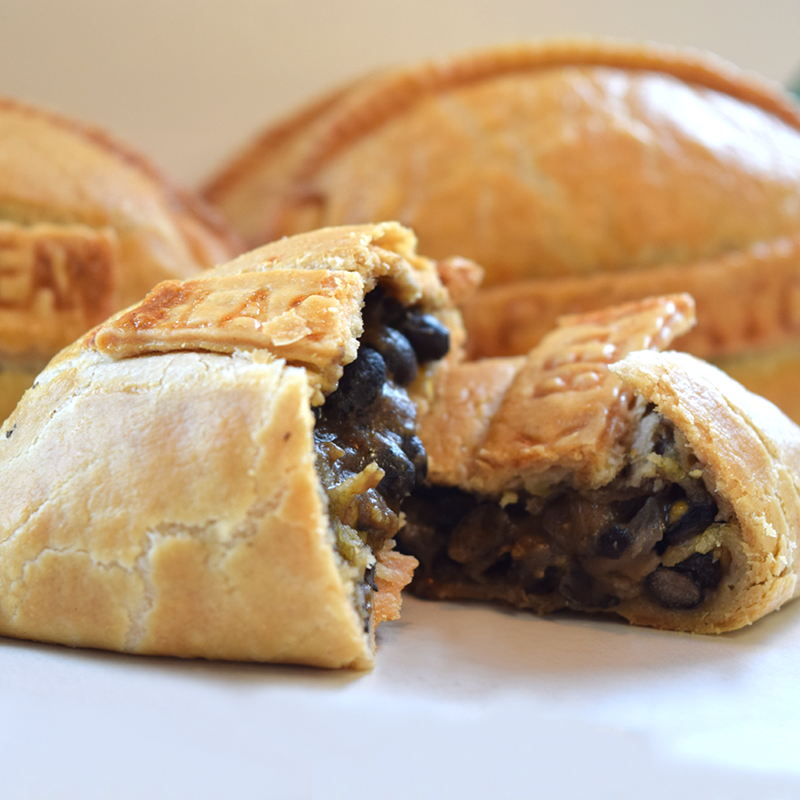 Empanadas are the perfect hand-held meal – great for the busy families of today who are always on the go. We are always coming up with new flavor ideas. We also sell empanadas to go which is a great lunch box idea or weeknight meal. Call ahead and we will have your empanadas hot and ready – waiting for you. As always, if you have any questions, comments, concerns or even allergies, do not hesitate to reach out to us and let us know! We love getting feedback from our valued customers!